This month, we are thinking ahead! Transitions through middle and high school and beyond can be tricky for students with disabilities and other special needs. 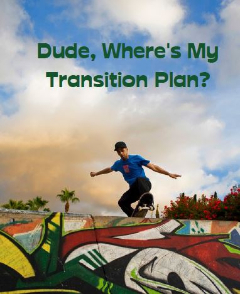 To help youth and young adults think through and prepare for life after high school, Formed Families Forward and the Parent Educational Advocacy Training Center (PEATC) are pleased to present Dude, Where’s My Transition Plan? booklet.
. Download your copy now! Tuesday, February 12- 8:30 am - 4 pm Learning, Healing and Helping: The Role of Educators & Other Caring Adults in Attachment and Trauma professional workshop for educators, counselors and socal workers. Learn trauma-informed strategies that ease conflict and promote academic and behavioral success (registration fee). 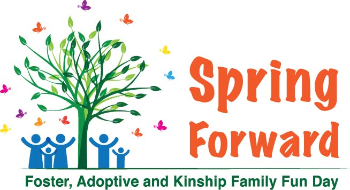 Saturday, April 11, 9:30 am- 3 pm - our 2nd annual Spring Forward family fun day for foster, adoptive and kinship families. At James Lee Community Center in Falls Church. We are thrilled to welcome keynote Dr. Terry Morris, NASA engineer, child advocate and former foster youth. SAVE the DATE; registration coming soon (minimal fee). June 25 - 28, National Foster Parent Association conference in Norfolk. FACES of Virginia Families is helping to bring NFPA to Virginia. Great sessions and activities for the whole family (registration fee). Young Adults with Special Needs- What to do? Q: My partner and I are raising two children. Our son by adoption is 19 and finished school. He has mental health issues and we cannot seem to find anything to keep him busy. Our foster daughter is 16 and has an IEP but we don't know how to help her get ready for being on her own. Suggestions? A: We hear from many formed families who are struggling to find services and supports for their young adults who have special needs. Children and youth with disabilities who have Individualized Education Programs (IEPs) have a right to transition planning, coordinated by the schools. Starting no later than the school year in which your child turns 14, transition planning should be underway, and a transition plan should be part of the IEP. A Virginia Fast Fact sheet summarizes the required components of transition planning. Transition assessment is also available; a guide to help families with age-appropriate transition assessment can be found HERE. Once a youth graduates from high school, the school's obligation to provide special education instruction, transition supports or other services ends. Young adulthood can be very challenging for formed families. We have compiled some transition resources including independent living services for youth in foster care. Some local public and private agencies and organizations offer services for young adults with disabilities. This winter, Starfish Savers offers evening and daytime Step Out into Employment and Social Step Out programs. Links to other organizations and agencies in our Formed Families Resource Directory. Many thanks to the wonderful parents and caregivers who participated in the January 12 Managing the Mid-Year Muddle panel. The panel shared great information on topics including managing behavior, IEPs, and communication between home and school. A recording of the webinar and the slides are available under our Resources tab. Our Managing the Mid-Year Muddle panelists. It is SOL time again... Families, be ready! As we enter the 2nd half of the school year, there is increasing focus on Virginia Standards of Learning (SOL) and other standardized assessments administered in spring. All public school students in grades 3 and older are expected to participate in the state assessment program. Students with disabilities who have IEPs or 504 plans may receive accommodations when taking their SOL assessments. Some students with disabilities may take other alternative assessments. As members of IEP and 504 plan teams, parents and caregivers are important participants in making decisions about which assessments their children will take as well as any accommodations needed. Be prepared- review information provided by your school and ask questions about the implications of the assessment decisions being made (especially as students work to earn verified high school credits). The Virginia Department of Education has a short Guidelines for Assessment Participation guide that can help! Fairfax County Public Schools 10th annual Special Education Conference, March 7, Alexandria. Registration now open; look for Formed Families Forward there! I'm Determined Youth Summit, June 17-19, Harrisburg. Applications being accepted now! The Center for Family Involvement is seeking Family Navigators. Training February 27-28. Our friends at PEATC, the state Parent Training and Information Center, offer some great resources and trainings for families across the state. Check out their new factsheet on selecting appropriate childcare. PEATC is also seeking candidates for several job positions. The Virginia General Assembly is IN session! Voices for Virginia's Children provides updates on the latest foster care, child welfare, mental health and other issues impacting families and children. Stay Connected! Be sure to Like us on Facebook and follow us on Twitter and get the latest resources and updates specific to northern Virginia formed families.